Here are a list of frequently asked questions that we get asked and the answers. If you do not find the answer you are looking for here please call our office and speak to a staff member. Q: Do I need to be home at the time of the clean? A: You do not need to be there on each occasion, however you will need to organize access to your home and it is important to meet with the cleaner initially to discuss your requirements and expectations, show them through your home to go over the correct use of your equipment and the products you prefer to use. Q: Does the cleaner use my cleaning equipment and products? A: Absolutely! Our Recruitment process includes interviews, background, work history and identification checks as well as stringent reference checking. All written references are contacted and checked by our recruitment Officers. A: Usually it is a cash payment on the day or if you are organised you can make a direct deposit into the cleaners account a few days before they come. Payment is needed in advance otherwise the cleaner will not clean. (we've had cases where they did not get paid for their work... which is not good for anyone... so we've taken measures to stop this happening again). A receipt will be provided for each service. Q: What days can I have my cleaning done? A: Cleaners registered with our Agency work Monday to Friday, times and availability vary. What if I need to change the scheduled cleaning? Contact us on _________. Q: Can I change my cleaner if I am unhappy? A: Absolutely! Just one call to our coordinators is all it takes. A replacement will be arranged courteously and discreetly. Q: What if something is damaged while cleaning my home? A: Cleaners registered with Domestic Angels are covered with Public Liability Insurance. This means you are protected from damage or injury to any person, other than the Cleaner, in your home caused by a Cleaner's negligence. Public Liability Insurance is extremely important for both our Clients and Cleaners and is one of the most important reasons for using our Agency. A: Yes, this eliminates any cross contamination. If this is a problem please discuss this with your booking agent and we can sort something out for you. Q: How is the cleaner entering my home screened ? A: All home cleaners are interviewed, their background checked, work history verified and identification checks are preformed. Also stringent reference checking is undertaken. All written references are contacted and checked by our Recruitment Officers. A: It is a cash payment on the day to the cleaner and they will provide you with a receipt. Direct deposit is also an option please discuss this payment option with your cleaner. A receipt will be provided for each service. 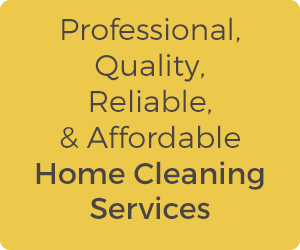 A: Cleaners registered with our Agency work Monday to Friday, times and availability vary. Please advise what day and time preference you have and the booking agency will find the right cleaner that meets your needs and requirements. Q: What if I need to change the scheduled cleaning? A: Contact us on 0432 628 335 or phone the cleaner directly. A: Please call your booking agent and a replacement will be arranged discreetly for you. Or please discuss your concerns with us and we can help sort out any issues with your cleaner. Q: What happens over Christmas and New Year? – We hope you enjoy a wonderful relaxing break!!! If your cleaner will be away we can make sure replacements are organized before our office closes for Christmas to ensure your services continue smoothly. If you don’t already have your cleaners direct contact number from your welcome (or replacement cleaner) email/sms please call our office or ask your cleaner so you can communicate over the holiday period while our office is closed eg. to re-schedule, cancel session, confirm a session or for feedback. Any current clients are welcome to call our office before we close and request a staff emergency mobile number for use while our office is closed to ensure ongoing support.